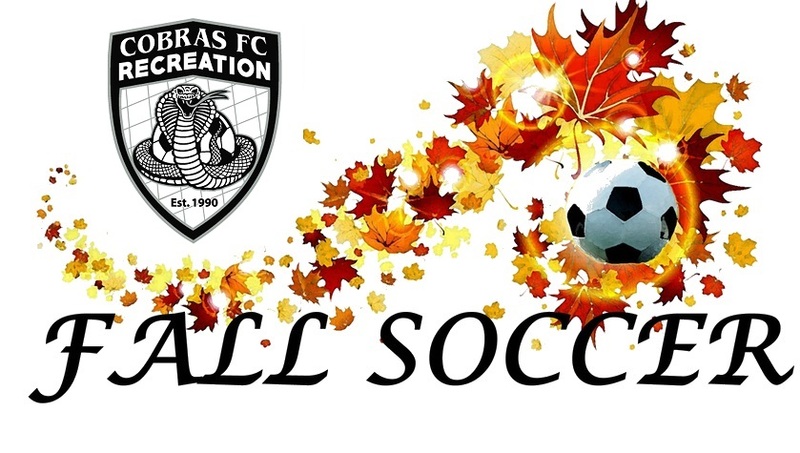 Welcome to the Fall Recreation Program! Cooler temperatures. Leaves changing color. Kids back to school. IT’S THE PERFECT TIME FOR FALL SOCCER! The Cobras FC would like to invite boys and girls (ages 3 to 9) to participate in our Fall Soccer Program, the best value in soccer. SPECIAL sibling discount. $10 off the 2-4th sibling that register at the same time. Fall season will start September 15th and run for 6 weeks until October 20th. All Games and practices will be Saturday aprox 9am-11am. If you are interested in having your son or daughter’s friend play together, mark it on the registration sheet. We will try and honor these requests, but can’t guarantee placement.